Decomposers eat dead organic matter. 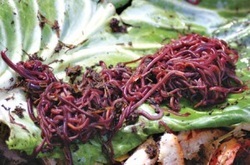 Termites, earthworms, and fungi are some of the decomposers that live in the Amazon Rain Forest. 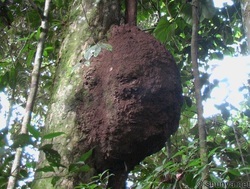 Termites make nests in the rainforest trees. They are eaten by frogs, birds, and giant anteaters. 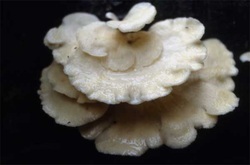 Found in the canopy of the Tropical Rainforest on the leaves of broad leafed trees. 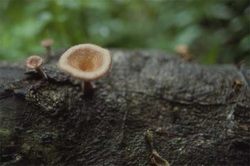 This mushroom is edible but local Amazonian people do not eat it. Lives on forest floor in leaf litter, earthen tunnels and foliage, under stones, and in fallen trunks. 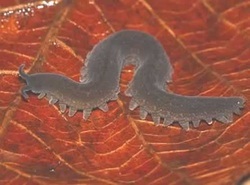 Velvet Worms date back 400 millions years and may be a missing link between the Arthropods (Insects and Crustaceans) and Annelids (soft bodied segmented worms, including earthworms). 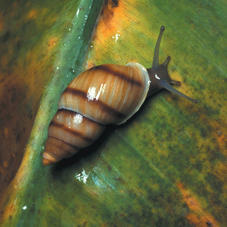 They eat small invertebrates, isopods, termites and small mollusks. They are eaten by spiders, centipedes, rodents, and birds. The Hemprichi Coral Snake feeds almost exclusively on velvet worms. 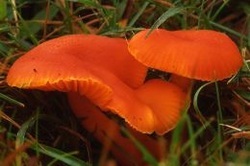 Grows on forest floor and on fallen trees. Lives in wet broad leafed forests. 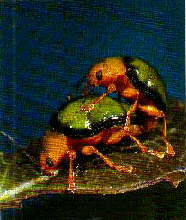 They spend the day on the under side of broad leafs. 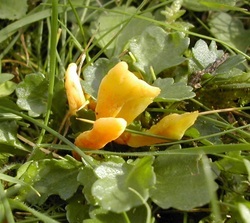 Fungi break down dead plant matter (leaf litter on the forest floor), releasing the nutrients for use by live plants. 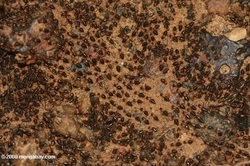 Ants eat almost anything, from other insects to decaying animal flesh to fungi (funguses) that they grow themselves in their own underground gardens! 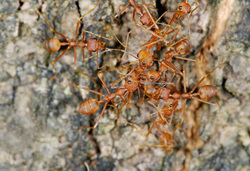 Being at the bottom of the food chain, ant are eaten by many animals including frogs, spiders, birds, snakes and other. And any ant that falls into a stream, river or pond is likely to get eaten by a fish.